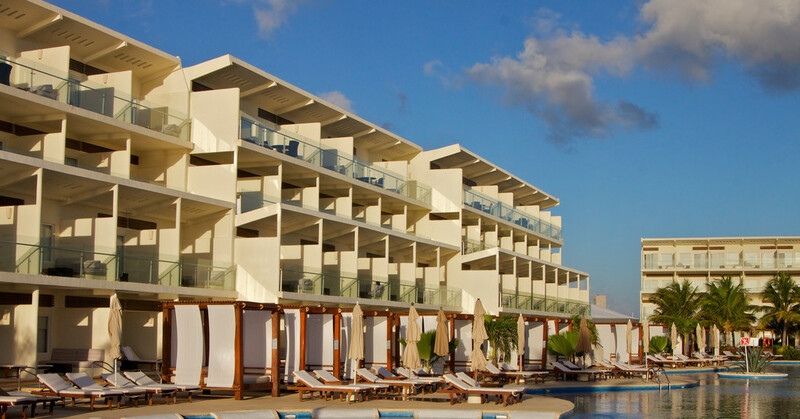 HolidayIllnessClaims experienced travel law team are concerned over a possible outbreak of illness at the TUI SENSATORI Resort Azul Mexico, after finding multiple online reports which have been posted by former visitors of the hotel. If your highly anticipated Mexican package holiday has been marred by an illness which lasted for at least seven days, providing that you travelled within the last three years then you may be entitled to thousands of pounds in holiday illness compensation! Think that you may be eligible to make a claim? Then just speak to one of our friendly and knowledgeable legal team members today by calling 0800 01 54321 now. Or if you cant discuss your claim over the phone right now, you can also get in touch by providing us with a few of your details and starting your claim online. Whilst looking into potential outbreaks of illness at worldwide all-inclusive resorts, the HIC team have some innerving claims which have been made by recent guests of the TUI SENSATORI Resort Azul. This resort was quite disappointing on so many levels. The food was unimpressive and the [waiting] staff in many of the restaurants were less than kind. We came with a party of over 30 people and over 70% of us were ill, with symptoms similar to food poisoning, at different points during the trip. This was not something confined just to our party and many people stopped to talk to us about how they had also gotten ill during their trip. I have just returned back to the U.K. after 10 nights at the SENSATORI Azul [after] spending the last 5 days being cooped up with my daughter and myself being severely sick & having diarrhoea. We travelled as a party of 3 for my husbands 50th birthday. Unfortunately half way through the week my 6 year old daughter started vomiting. She couldnt hold anything down (fluids) so we called the doctor out which cost $130 just for a call out. This was later ruined as two days later on my husbands 50th birthday I came down with severe sickness & diarrhoea, slightly worrying as we were due to fly 48 hours later. Once I landed I headed straight to my doctors & provided a sample. He said I [possibly] caught Cyclospora which is rife in some parts of Mexico & clearly the hotel [that] I stayed in. I havent eaten in days & lost weight [â?¦] the cramps have been unbearable. Even my daughter who was only sick is still complaining of cramps. My husband now [also] has it since returning back to the U.K. & his doctor has now told him to take time of work (not what you need when you have just come off holiday). I hate to leave such a negative review for this hotel but I urge them to really look closer at hygiene and the certain foods [that are] laid out!! We have previously learned of many Mexican holidays which have been ruined by Cyclospora, and it is bitterly disappointing to discover that holidaymakers are continuing to be struck by the condition. If you are currently on a package holiday and are suffering from some form of gastric illness, it is important that you stay hydrated and inform your tour operator representative as soon as possible. To speak to a legal expert about securing the compensation that you deserve for a ruined holiday, then get in touch with the experts here at HolidayIllnessClaims today. The HIC team regularly assist those who have had their holidays devastated by illness, and if you have also had a package holiday which has been spoiled by sickness then we may be able to help you too. To find out whether or not you are entitled to make a claim, provide our experts with a few of your details by starting your claim online. Alternatively if you would rather discuss your case directly with one of our legal advisors, you can do so by calling our dedicated holiday illness helpline on 0800 01 54321 now.